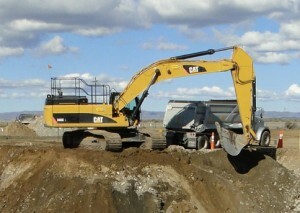 Level Pro Foundation Repair Inc., is there for you when it comes to all your soil repair and soil removal needs. 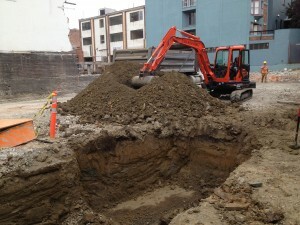 Our company provides custom-based solutions to soil-related problems including landslide, foundation underpinning, mobile home leveling, replacement and reinforcement, slab sewer line repair and tunneling. Level Pro Foundation Repair Inc., has a complete staff of engineers that allows us to provide in-house engineering on all of your projects. This means you can dramatically increase your time savings by working with only one business. We also already have a fleet of trucks and large equipment, including dump trucks, excavators, loaders, dozers and compactors available at your disposal. Our highest priority is client satisfaction. Over the years, we’ve grown to where the majority of our current work comes from client referrals. Therefore, it is critical that our clients remain satisfied from the beginning of a project to its end. We take pride in offering the highest quality work on every project. 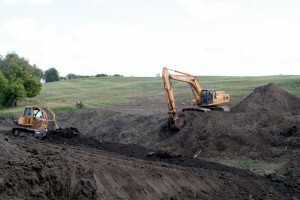 Our quick, clean and long-lasting soil stabilization solutions put you in control of your private and commercial assets. You’ll be happy to know that, in most cases, you can still live in your house during repairs. While it may get a bit noisy, all of the work is done from the exterior. Even if work needs to be done from under your home, this location is only accessed from outside. If we need to dig any holes, we make sure to cover them. We also place any fences back to their original location after our work is done. Also, we can start right away. We have several crews to help alleviate backlog. This means we can start on the job shortly after signing a contract. You don’t even need a permit–we do all the engineering, plans, permits and coordinate all the inspections and testing. All you have to do is sit back and relax. Collectively, we have completed thousands of successful projects spanning years. We want your home to be our next successful project. Also, Level Pro Foundation Repair Inc., only uses the most advanced equipment and materials in the industry. Our self-contained units are designed to maximize efficiency and performance. Your wallet will be pleased with you see our fairly and competitively priced estimates. Our crew is comprised of the utmost professionals to get your job done right the first time and one time. Call us today for a complimentary estimate.